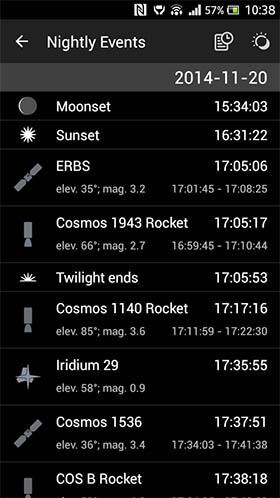 Summary: For identifying, tracking and predicting satellites you can't go wrong with this app. 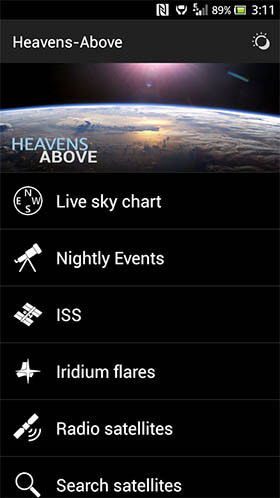 Heavens-Above is a non-profit website that is a favourite among astronomers and satellite-trackers. This app in an extension of the website, although it functions perfectly well on its own. 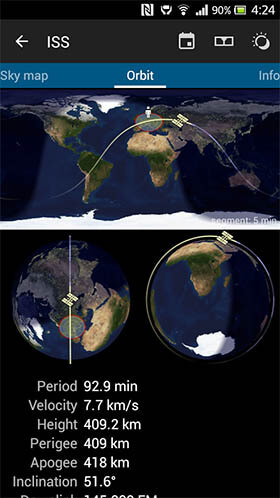 Its main purpose is to identify and track satellites. Although you can use it as a rudimentary star map, you'd better better off finding another specialist app for that purpose. The interface is simple and intuitive. You can get started immediately and look for things to find in the sky. Upon selecting an object, you can swipe right for more information including multiple views of its orbit. There's really not much more to say because this is a very simple app. That's the beauty of it though—it doesn't get sidetracked doing useless or pretty things, it sticks to its purpose and gives you what you want quickly and painlessly. 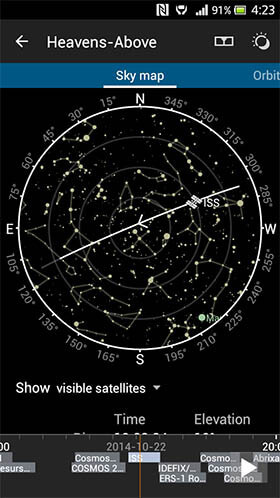 I highly recommend this app for anyone interested in predicting and tracking satellites.